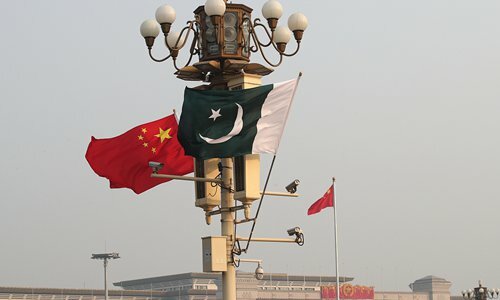 The Chinese Embassy in Pakistan has refuted misleading media reports that Pakistan has to pay $40 billion to China in the next 20 years, stating that Islamabad only needs to pay $6.017 billion to Beijing for relevant projects under the China-Pakistan Economic Corridor (CPEC). The embassy pointed out that 22 projects under CPEC have been preliminarily finished or are under construction with a gross investment of $18.9 billion. Pakistan newspaper The Express Tribune reported last week that Pakistan will need to pay $40 billion of debt and dividends to China over 20 years for infrastructure and development projects under CPEC. The embassy disputed the wrong and misleading information in a statement published on Saturday, emphasizing that CPEC is the significant economic cooperative project between the two countries and all projects are based on consensus and relevant laws. According to the statement, the $6.017 debt includes concessional loans of $5.874 billion which China offered to Pakistan for major transportation infrastructure projects, at a composite interest rate of about 2 percent on 20 to 25 years loans. China also provided $143 million interest-free loans for the construction of the Expressway East Bay in Gwadar and free aid for some livelihood projects. Chinese companies have invested $12.8 billion in energy projects in Pakistan, including $9.8 billion from commercial banks with an interest rate of about 5 percent. These are purely business activities between companies and do not involve the Pakistani government, said the embassy's statement. The statement said the 8th Joint Cooperation Committee meeting of the CPEC was successfully held in Beijing on December 20. China and Pakistan signed a memorandum of understanding at the meeting on industrial cooperation, and agreed to jointly promote the construction of special economic zones. The CPEC is a corridor that links Pakistan's Karachi and northwestern Peshawar and runs through the populated provinces of Punjab and Sindh, which highlights energy, transport, industrial cooperation and Gwadar port construction, and seeks to expand cooperation between China and Pakistan, the Xinhua News Agency reported.